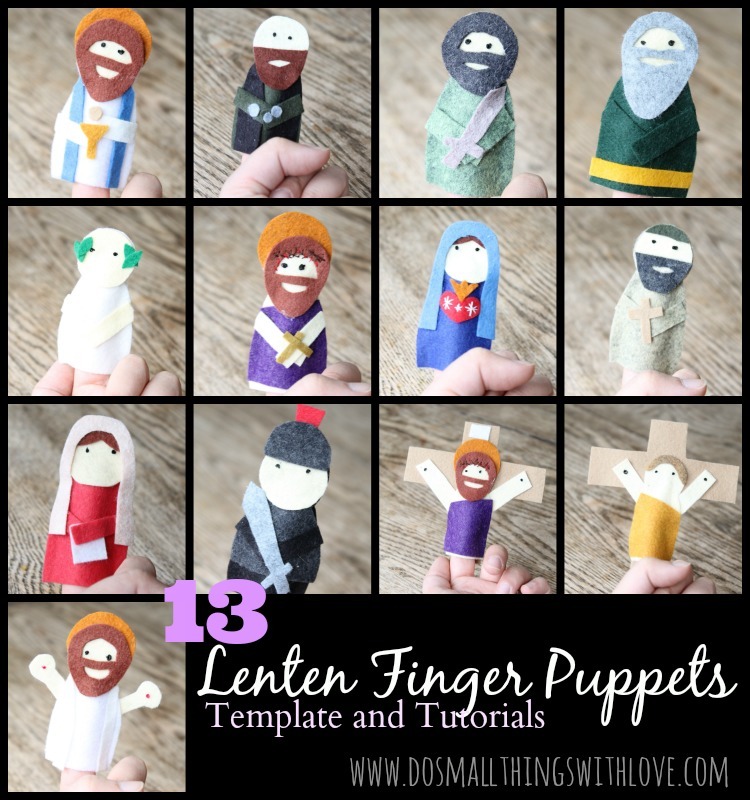 Today I am sharing a very simple, easy and yet beautiful project to do with your kids, toddlers and up, this Lent. 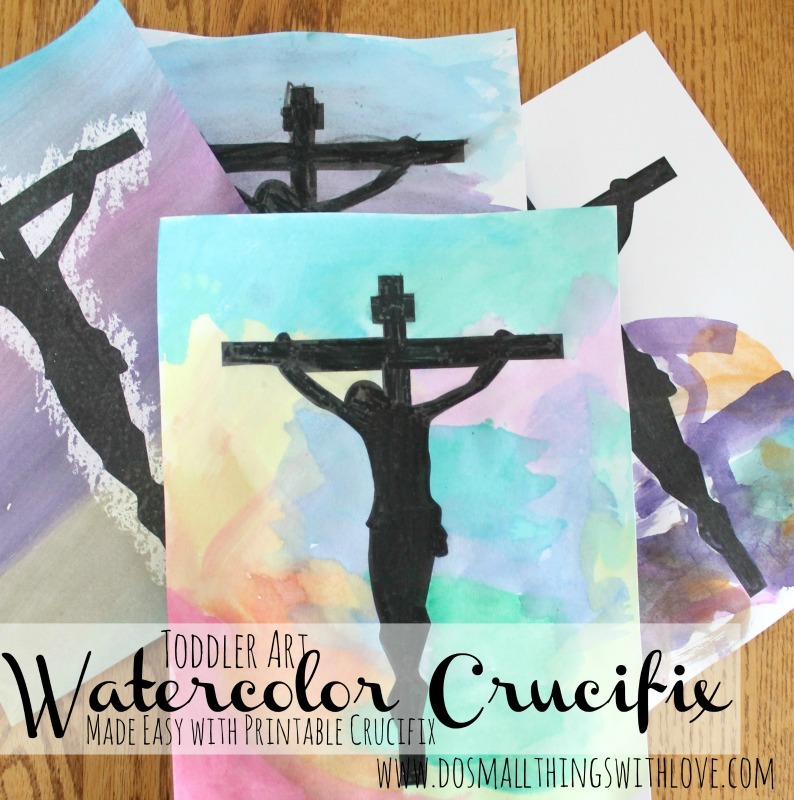 This Easy Holy Week Watercolor Art project is made even easier with the printable crucifix I’ve made. I did a very similar project to this last year (see it here) but because it involved drawing a crucifix free-hand as the first step, I decided to revisit this project, and make it much, much easier. And so, first off, download the free printable of the crucifix to use for this project. Here is a breakdown of how to do this project. 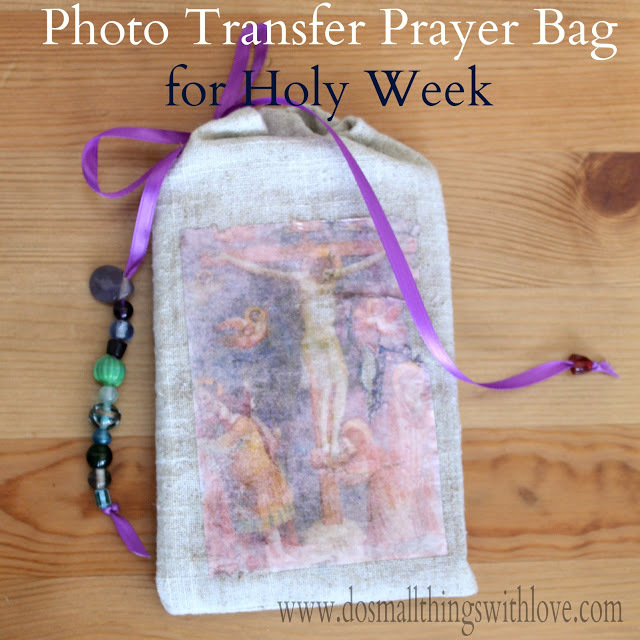 Once you have downloaded the images of the crucifix, print it out on cardstock paper. First, if you are doing the at home, the ink from your printer will smear when you watercolor over it, so you need to seal it. 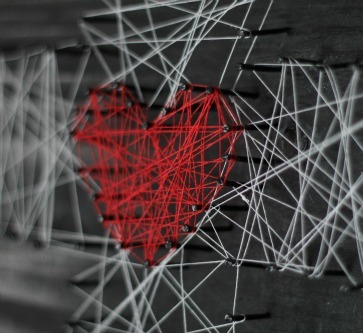 The easiest way to do this is to color over it with a crayon. I did this one my sister and her kids. Some of us used a black crayon (above) and others used a clear crayon. 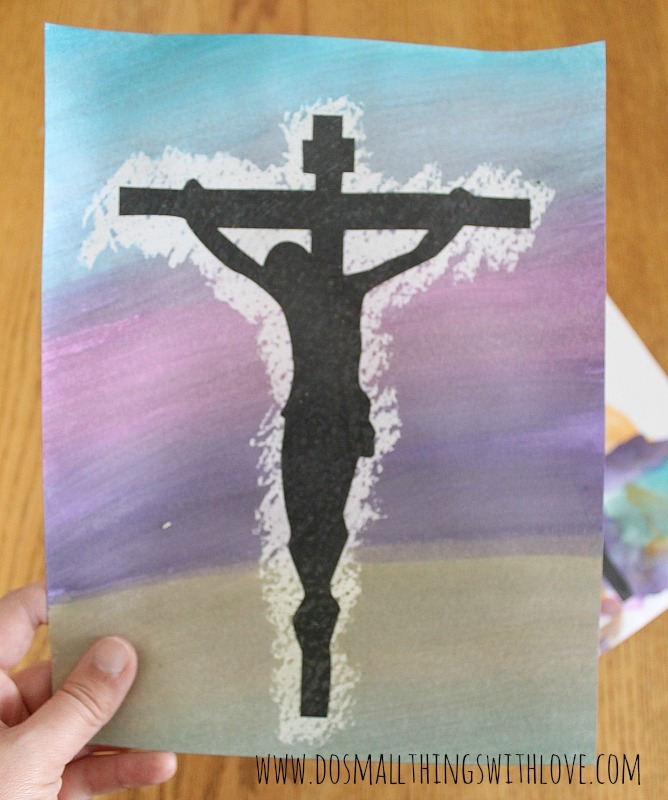 If you use the clear crayon it can add a cool look to color roughly outside of the edges of the crucifix. Then, grab the watercolors and get painting. Use a big brush and lots of paint, painting right over the top of the crucifix. Cover the entire page with color and then use a little extra water to blend the colors (not too much) after you are done painting. church this month and I am going to suggest your book for the new RCIA class next year. Beautiful craft, using it with my Seniors in the Skilled nursing unit. Thank you for sharing this wonderful idea. Such a joy to know this! can u print this on construction paper or does it have to be printed on card stock? As long as it will run through your printer, whatever is fine. Just be careful when painting that you don’t use too much water on construction paper. These are so beautiful! We love to watercolor. Thank you for the printable to make it simple. Happy Easter! We are going to do this TODAY! wonderful! 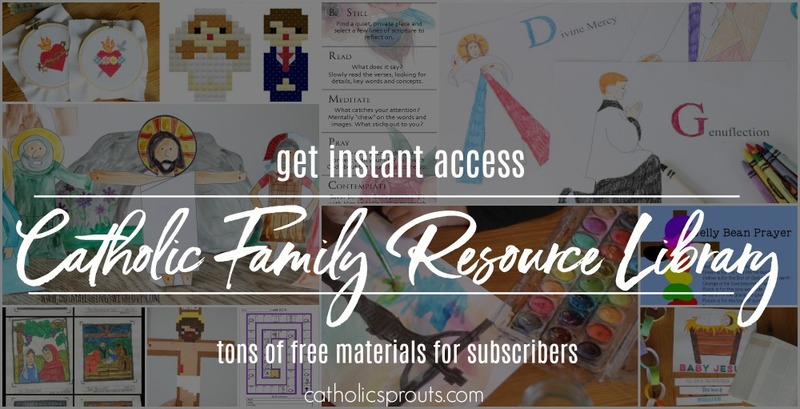 I hope you have fun–and if you get a chance, I’d love to see a pic of your completed projects! I love these! And the clear crayon (when did they start making these?!) give such a cool effect! We just used the clear crayons we had left over from egg-decorating projects. Usually they come in the kits. Can you buy clear crayons on their own…or are they only part of a kit? I did google it and an option was to use a candle?? Does that make sense? oh yeah! I candle would work just fine. Wow … beautiful and powerful! I love that it’s such an easy way for kids to get involved and a great way to start having a conversation with them about the real meaning of Easter. Thanks Amy–it is a bit of a difficult thing to explain to kids. So pretty and perfect for this time of year! !